0 - Constant earthquake until anti-triggered. 333 - 16 seconds of earthquake-sound, but no shaking. 888 - 5 seconds of quake with additional sounds of something heavy at work. OCB 1 - Hammers smash and raise continuously but can be anti-triggered. OCB 2- Hammers smash once and remain down. OCB 3 - Hammers smash and raise and stay up and can be reused. Type -422 in the OCB options for the Music Scroll puzzle hole and Lara will play the lyre when placing the scroll puzzle piece. The lyre static object must be placed at an angle to the left of the scroll puzzle hole. The sound track that plays is hardcoded so make sure you leave that track alone (track 6) in the audio folder. 0 - Creates an invisible mine field of minimum one block or, if the mine mesh is bigger, the range of the collision box. If Lara steps within this zone she is blown up and killed (no trigger needed). 1 - An insubstantial mesh is visible, and when triggered it sets on fire and explodes destroying whatever (except Lara) is nearby (blast range approx. 3 blocks). Make the trigger a oneshot trigger, otherwise the screen will flash yellow, and explosions will be heard every time Lara passes the trigger. 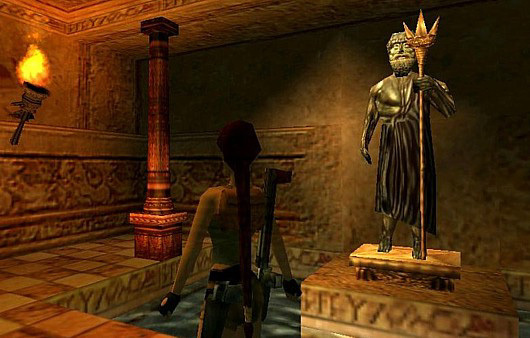 Type -423 in the OCB options and Lara will climb the statue and place the trident. 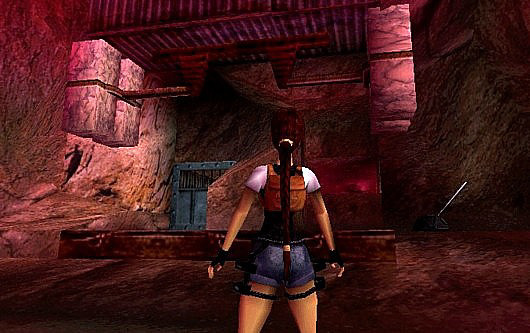 If you place Lara in an area with a hard to defeat enemy, how do you ensure there is enough ammo around? Easy, put 128 in the OCB code box and that ammo will reappear when Lara runs out. This is especially useful because it means Lara has as much ammo as she needs in one area but she can't stock up her inventory with it which could affect gameplay further into the level. Made passive by having Lara pick up a item which must be in the puzzle_item_5 slot. The sentry_gun dissappears, when a flipeffect 46-trigger is used. 1 - Is invisible until triggered, when triggered it becomes jammed and harmless. The steam comes out in the direction of the cone. For steam in crawlspaces, steam emitters should be raised 2 clicks. 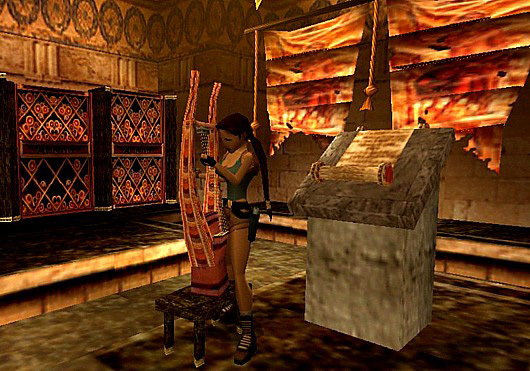 Press 1-5 in the OCB to make it go slowly down when Lara stands on it. Enter 207 in OCB to make it rise. You need a dummy trigger below the platform so to prevent conflicts with triggers, place a small room below the platform (1 click high), use toggle opacity 2 on the portal, place the dummy trigger in the room below and your other triggers above. This door requires special setting up. This turns off collision from the puzzle done object. Without it an invisible door would prevent Lara from coming back through the doorway. 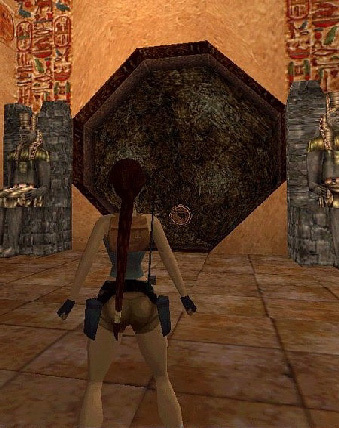 Also, it is advisable to use a fixed cam where Lara uses the Eye of Horus puzzle piece to prevent the cam going behind the door when Lara turns around while its closed. 668 - Once triggered the waterfall turns invisible when antitriggered and can be re-triggered and antitriggered as many times as desired. Used with the 'sand' falls in Tomb of Seth, together with 'invisible' button activated. Plays appropriate sound. 777 - Plays waterfall sounds. The waterfall can't be made invisible again.